The Cannes Film Festival takes place between May 08th and 19th and the official selection was announced earlier today. Now, it is entirely possible that more Japanese films will be added so I’ll update this list if and when it happens. There are two Japanese films in the Competition section so far both of which come from veteran directors with lots of strong dramas to their names. Hirokazu Kore-eda is a legend who has appeared at Cannes with films six times in the Competition and Un Certain Regard sections, picking up the Jury Prize for Like Father, Like Son (2013). Due to his focus on families in films like I Wish (2011) and Our Little Sister (2015), he is often called the Ozu of modern Japanese cinema by critics and this one features an unconventional family by normal Japanese standards. Making his Cannes debut is Ryosuke Hamaguchi who has had a long career as a film-maker but many people will probably know him for Happy Hour (2015). He has a good cast including Sairi Itoh (Love and Other Cults). Mamoru Hosoda’s new Mirai no Mirai (Mirai of the Future) will screen at this year’s Directors’ Fortnight, an independent section held in parallel to the Cannes Film Festival which will be held from May 9-19. The film is said to be closer to the human drama of The Girl Who Leapt Through Time and Wolf Children rather than the more action-packed Summer Wars and The Boy and the Beast. It is reportedly based on Hosoda’s own experiences of being a father in a family where a newborn took the attention of the parents away from the elder sibling and the emotions that radiated from that feeling. Playing at Cannes is a 4K digital restoration by Shochiku Co., Ltd., in cooperation with The Japan Foundation. Tokyo Story is considered one of the all-time great films and it continuously comes top of Sight & Sound’s magazine directors’ poll of the greatest film of all time. 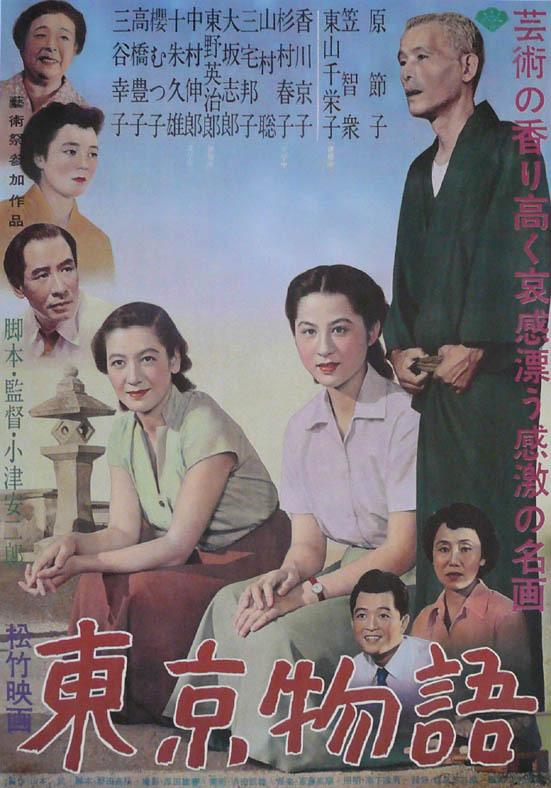 It stars familiar Ozu actors Chishu Ryu and the flower of post-war Japanese cinema Setsuko Hara who both appeared in many wonderful films together like the gentle and touching drama Late Spring. If you get the chance to go to Onomichi, one of the shooting locations and a truly beautiful place, you will see a lot connected to this film. Synopsis: When the Hirayama couple travel from their small and quiet hometown of Onomichi to the hustle and bustle of Tokyo they discover that their children consider their presence an inconvenience and uncomfortable truths about the reality of life in Tokyo are revealed. It is only their daughter-in-law Noriko, the widow of their son who went missing in the war, who spends time with them but when the mother of the family is taken ill they stop at Osaka where another of their sons lives people are forced to take stock of how estranged their family has become. There is a Japanese film in the Short Film Competition. It was selected from the 3943 works submitted. 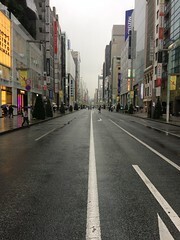 The directors are graduates of the Sato Laboratory of the Graduate School of Image Sciences, Tokyo University of the Arts. Wait…. Sakura Ando is now old enough to play Lily Franky’s wife? Or is this a May to December thing? When you’re Lily Franky, age ain’t nothing but a number! Just think, he was married to Yoko Maki in Like Father, Like Son. Don’t lower the tone of a respectable post!!! I’m sure Lily Franky really appreciates your words.